Are they still talking about a will or won't they show or their personal lives? They should know what it is like being a huge fan of an extraordinary show. Spoiler alert for knockdown, knockout and rise. It started as a vacation in New York City for our favorite psychic and his best friend, but when the duo stumbles upon a body (literally), they'll need to lend a hand to Castle and the rest of the gang to solve the case before they head back to California. An undercover case plunges Kate into the violent world of a Russian drug ring. How will it affect her blossoming relationship with Castle? Rated T for language, violence, and sexual situations. A curious detective, a spontaneous date and maybe a little too much wine. This volume of the story begins with Kate and Rick's honeymoon, but will later go on to the ups and downs of married life. Installment 4 of the "Heart Wants What the Heart Wants" series. Jumping right in with an M rating, because, well, they ARE on their honeymoon. Standard disclaimers apply. I don't own the characters, that priviledge belongs to ABC. A "continuation" of the scene in "Setup" between Castle and Beckett in the tent/room...thing? SPOILERS for episode 3 X 16, Setup. This story contains, word for word, part of a conversation from that episode. Just to let ya know. That being said, I don't own Castle nor do I claim to have written the quotes I have used from the episode. The scene left me both wanting to cry and/or throw something at my screen. Soooo...i wrote it out. ;) Here is my take on what could have happened had that scene been a little longer. Comments are welcome and enjoyed, flaming is not. Thank you <3 Just a one shot to get it off of my mind. It makes the waiting less intense. This is an idea I had a while ago for a possible season three Christmas episode. Based on the current state of events on the show and where I could see it heading by the holiday season. It will be another complete story, written like a full "episode" of the show. Christmas in New York City with Castle and Beckett solving a twisted murder mystery... and did I mention there's mistletoe?? Set After the finale. Kate gets ready for her first time out for recovery. Castle as always right beside her every step of the way. Castle learned a valuable lesson that night: never mix Beckett and karaoke. What if the one moment that changed everything never happened? Castle finds himself "transported" to a world where the murders in Flowers For Your Grave never happened and Castle and Beckett never met. He remembers everything and all his friends have no idea who he is. Has the world gone mad? How's he going to get back? 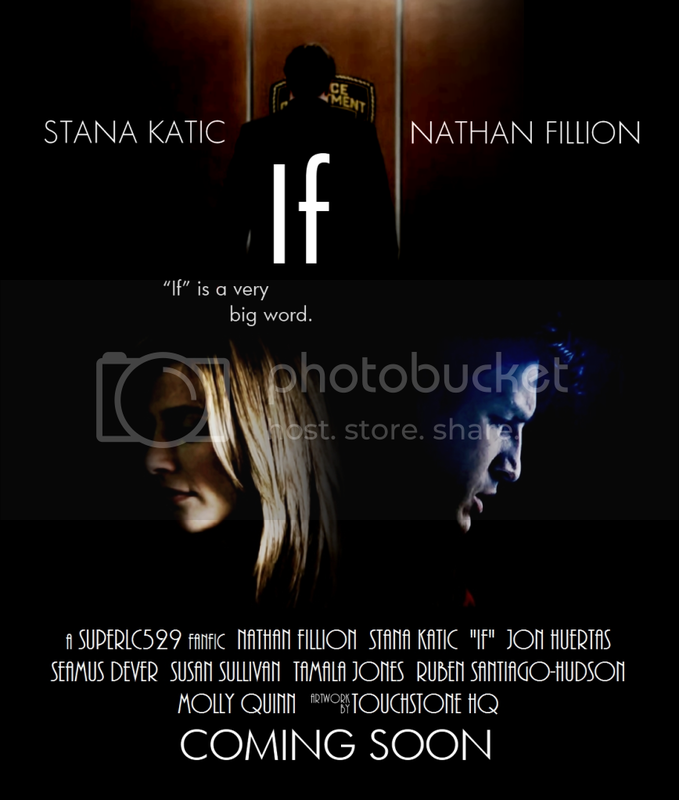 Tagline: "If" is a very big word. Spoilers: Nothing too specific, basically through "Countdown". If only he hadn't been so concerned with his hair or the report on his desk. If only he'd taken the department issue, not a cab. If only he hadn't been ten minutes too late. ******Chapter 11 Now up**** Rick is in danger. Kate finally realizes just how much he means to her. So what does she do to prove it to him. Angsty to begin but will be all Caskett eventually. Sometimes she doesn't need a knight in shining armor, riding in on noble steed. Sometimes all a little girl needs is her daddy. Alexis is kidnapped by the 3XK out of revenge. Castle and the NYPD work vigorously to find her. The Triple killer changes his MO to gain an advantage over the police. After a sixteen year-old girl is found murdered in the middle of Times Square during a group photo, it leads Castle to think on his relationships with the people he is closest to. Castle/Beckett. Rated M for chapter 11. It started with a simple movie between friends. Picks up where Beckett takes Castle to see Forbidden Planet, and runs with the scenario from there. The characters belong to the writers of Castle. The rest is my imagination. A department store Santa is found murdered in a small boutique. Meanwhile, Castle does his best to put Beckett in the mood of the holiday season. Disclaimer: The characters of Castle are property of ABC and their affliates. The author claims no ownership or association with the actors, writers, or creators of Castle. No money is being made off of this fanfic and copyright infringment is intended.